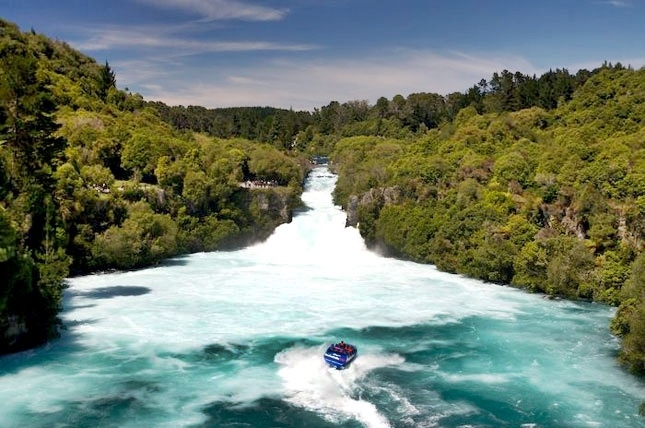 Hukafalls Jet in Taupo, offers a unique combination of excitement and natural beauty. A 30-minute thrilling jet boat ride in the hands of a down-to-earth, funny professional jet boat driver who can make a jet boat do things you would never believe possible. 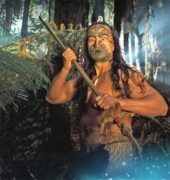 The half hour of thrills, fun and excitement takes you along a beautiful river environment, lined with native bush, sheer rock cliff face and natural hot springs. 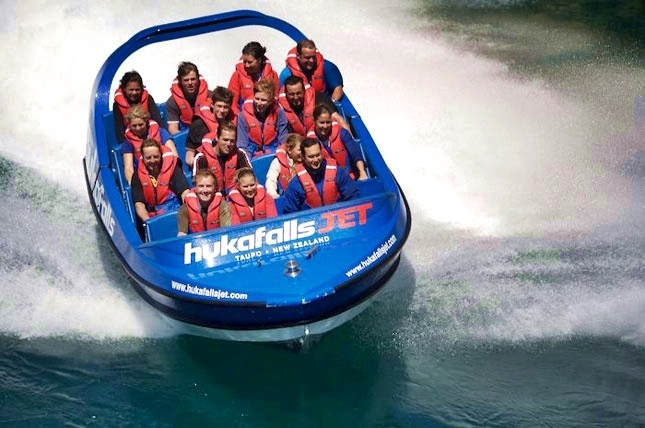 Hukafalls Jet’s hours of operation vary between the Summer and Winter seasons. 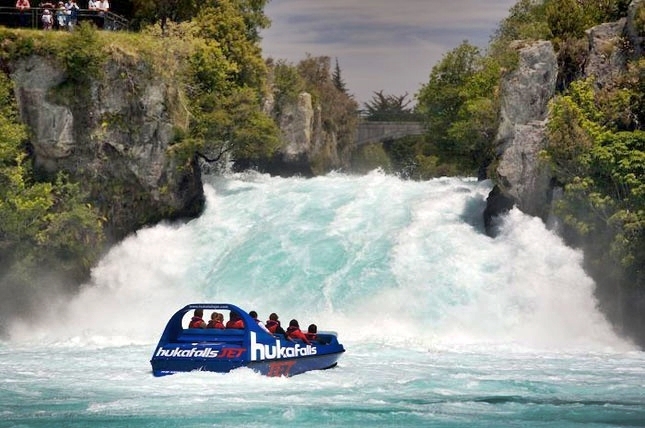 Please note: Children must be at least 1 metre tall in order to ride the Hukafalls Jet.